Breakthrough presents a revolutionary new approach to educational reform, breaking away from the conventional paradigm to help educators create focused instruction, transform the classroom experience, and dramatically raise-and sustain-performance levels for students and teachers alike. This book provides the breakthrough concepts needed for developing precise, validated, data-driven instruction personalized to each and every student. Synthesizing the best of current instructional models, this framework focuses on the Triple P Core Breakthrough Components: Personalization-meaningful, student-centered classroom interactions; Precision-using formative assessments to monitor individual student progress; and Professional Learning-daily, ongoing learning for all educators. This is the third book in the chaos theory trilogy. This one pushes even deeper by providing new insights and lessons of change concerning moral purpose, and what is clled tri-level reform - the school and community, the local district and the state. It draws on reform initiatives across many levels and countries so that the ideas are grounded in the reality of actual projects and findings. It discusses the questions such as how can we achieve large-scale reform and do it in a way that the conditions for sustainability are enhanced? What policy levers are needed, and what is the smallest number of sets of policies that will maximise impact? What is tyhe role of new leadership in accomplishing sustainable, comprehensive reform? Argues that moral purpose - making a difference in the lives of young people - is fundamental to reform, but not as straightforward as it seems. Eight new lessons for understanding complex change are developed. This sequel demonstrates the fusion of ideas, political action and moral purpose. 'change Forces' remains a double entrendre of exciting proportions. Addresses the issue of teachers managing their own learning, balancing life and work, and discusses how schools need to invest in teacher learning and look at how schools can become learning organizations for all players. An exploration of how teachers can develop leadership in young people, evaluating current techniques and what pupils themselves say about leadership, this book demonstrates what can be achieved when teachers, parents and educators participate in developing a leadership ethos for everyone in schools. The author maintains that we have to break away from thinking that leadership is simply about position and role, and the notion that leadership skills are only relevnt for senior pupils. The book not only emphasises the need to look beyond the hierarchies in schools and the culture of dependency they create among staff and pupils, it also acts as a guide to show how this can be done, demonstrating the break down of barriers, building of bridges and transformation of schools. Education is the platform for our success or failure, but is our system still fit for purpose? Will our children be equipped to face the challenges the future holds: the rapidly changing employment patterns and the global environmental, economic and social crises ahead of us? Or will our children grow up to resent their school years and blame them for their unfulfilled potential and achievement? Creating Tomorrow's Schools Today explores these questions in the context of early schooling and primary education, presents powerful arguments for change and highlights strategies that offer a solution. How teacher leadership enhances school success, 2nd ed. This uniquely integrative book brings together research on executive function processes from leaders in education, neuroscience, and psychology. It focuses on how to apply current knowledge to assessment and instruction with diverse learners, including typically developing children and those with learning difficulties and developmental disabilities. The role of executive function processes in learning is examined and methods for identifying executive function difficulties are reviewed. Chapters describe scientifically grounded models for promoting these key cognitive capacities at the level of the individual child, the classroom, and the entire school. Implications for teaching particular content areas�reading, writing, and math�are also discussed. Provides a comprehensive examination of what leaders at all levels of the educational system can do to pave the way for large-scale, sustainable reform. How do you develop and sustain a greater number of system thinkers in action. These proactive system leaders are at the heart of the issue of sustainability. Fullan explores eight elements of sustainability - public service with a moral purpose, commitment to changing context at all levels, lateral capacity-building through networks, intelligent accvountability and vertical relationships, deep learning, dual commitment to short-term and long-term results, cyclical energizing and the long lever of leadership. Fullan challenges all who work in education to rethink the critical role of the principal as school leader in the current era of accountability. He shows how moral leadership can reinvent the principalship and bring about large-scale school improvement. He recasts the role of principal as one in which principals figure prominently both within their school an within the larger school system that surrounds them. * Enable others to become motion leaders. The gathering together of collections of writing has been to bring a new level of focus and insight to youth leadership. Standing in front of a class of students is challenging enough, but what if they just won't behave? This book will tell you how to start off on the right foot as a new teacher, and how to look after yourself as well as your classes. Chapters will help you to build up your confidence and awareness, develop positive relationships with your students, create supportive bonds with colleagues, and manage disruptive, distressed and defiant students calmly. Re-imagining Educational Leadership will help reshape educational leadership in school systems around the world at a time when policymakers seem to be losing faith in what schools can accomplish and school leaders are losing heart. Part A, 'Re-imagining the Self-Managing School', reports what has happened in schools that became self-managing in the 1990s. Caldwell describes how best practice has far outstripped the initial vision. Two exciting new concepts of 'synergy' and 'sagacity' are described and illustrated. Deeper exploration of the new image of the self-managing school led to the formulation in Part B, 'The New Enterprise Logic of Schools', the first element of which is 'the student is the most important unit of organisation - not the classroom, not the school, and not the system'. Illustrations from schools that had been transformed or were on the way to transformation reveal that leadership can be exhilarating, even under the most challenging circumstances. Part C, 'Exhilarating Leadership' counters the negative headlines about leadership in schools that is too often portrayed as 'mission impossible'. Re-imagining Educational Leadership will challenge policy makers at all levels to re-imagine educational leadership. This book shares a genuine optimism that educational leadership is 'mission possible' at a time that many have doubt. Explores essential lessons for business and public sector leaders for surviving and thriving in today's complex environment. These lessons are called "secrets" because they are often difficult to grasp in their deep meaning, and challenging to appreciate and act on in combination. The author makes them accessible and useful and offers illustrative examples from a variety of businesses, health organizations, and public education systems. 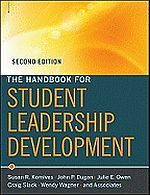 Expands the definition of organizational turnaround and shows how leaders can turn even the worst situation into an opportunity to shake-up and rejuvenate their schools. Indeed Fullan shows how entire systems can be transformed. The dynamics of what makes societies and education systems healthy or sick are identified and the positive things turnaround schools do to get off the critical list examined. Explores what it takes to motivate large numbers of people to go beyond short-term solutions in order to achieve fundamental, sustainable reform. In the year's most provocative conversation, they take on the very deepest questions about education: What should be its true purpose? Do classrooms make sense anymore? What should individuals contribute to their own education? Are yesterday's distinctions between subjects--and between the arts and sciences--still meaningful? What would the ideal lifelong education look like--at K-12, in universities, in the workplace, and beyond?